NEWER HOME! Completed October 2000. YOUR HOME AWAY FROM HOME! (2 double/double bunks)and one double bed in Bedroom #5/Den with 32' Color TV. Large country kitchen with island gas stove/grill and wall gas oven. Slide-in gas stove/oven with microwave above. Large 26 cu.ft. refrigerator and 40 feet of counter space. Seats 8 at the counter and Seats 10 at the dining table. Over-size dining room and great room with woodburning stove and 19-foot ceiling. The great room has a 47' large screen TV, Cable TV, 3 DVD Players, Telephone and Internet. The house sits on a hillside with a 270-degree unobstructed view of the ski runs and mountains. The views range to over 100 miles. The house was completed in October 2000. The house sits on a half acre located on Navajo Mountain halfway up and two blocks to the North side of the Navajo ski Runs. The kids can snow sled on the property. All the comforts of home and a very short walk to the Ski Runs!!! I built this house new in the year 2000 halfway up the Navajo Mountain taking advantage of the spectacular views from this half acre home site that has slopes and flats for great snow sledding on the property for the kids! 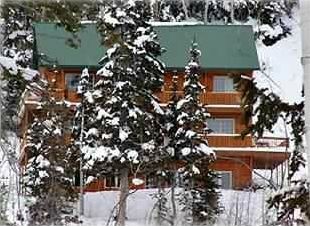 The house is located on the Navajo Mountain, walking distance from the Navajo Ski Runs. Park your car in the garage and leave it there! The roads are plowed by the town of Brian Head as required. Two wheel drive is OK most of the time but not all the time. FOUR WHEEL DRIVE IS RECOMMENDED. You can ride 4 wheel ATV's and snowmobiles to and from the property to anywhere in Brian Head. The Town has over 100 miles of ATV/Snowmobile trails that are maintained by the town for your riding pleasure. You can also just watch the deer wander by as they roam the area. The house sits on a half acre about halfway up the Navajo Mountain next to the Navajo Ski Run and has a view of Brian Head and towards the valley for about 100 miles. 2 Blocks from Navajo Ski Run. 2 Stoves, 2 Ovens, Microwave, Gas Grill, Dishwasher, 2 Refrigerators and 40' feet of counter space. The cabin is perfect for large groups. There was plenty of fire wood with a nice power splitter. The Kitchen was large and well supplied for large groups but was short on wine glasses and some of the appliances ie dishwasher, coffee maker are tired and the air popper did not work. The bedrooms were comfortable but the bathroom plumbing was in need of some attention. One shower did not work and another needed some plumbing attention. Even though the discription mentions a “hot tub” there is not one. There are two jacuzzi tubs that two children or one adult. The owner, John was very responsive. We had a good time! The owner has been very helpful with advices on the road and the drive up and any other questions we had. The house is perfect for a few couples with children. It is about 2 minutes away from the slopes and with all the snow you can even ski to the navajo side of the ski resort. Over all a great experience for a good price, easily worth the 5 star review. Perfect home for family reunion! My wife and I spent a month at this house during the middle of the summer. We had different groups of friends and family join us over that time. The large kitchen was great to work in when cooking for big groups, an I loved having the grills out on the balcony. The house is well stocked. Perhaps what I enjoyed most was the location. The house stayed cool in the altitude at Brian Head, and once the rainy season began, I could sit on the upper balcony, look out over the town and valley, and watch the storms roll in. We really only had one neighbor, so we felt we had a lot of privacy, even though the house is easily accessible. Overall, a very positive experience. House was great as usual, year three for us. Close to slopes, huge kitchen and works great with teenagers. Wildlife watching (Deer), Snowmobile riding, ATV Riding, 2 blocks to Ski Runs, Snowmobile/ATV Trails pass by house and connect to Ski Lodges, Stores and Shops close by. Please don't book until your plans are final. All reservations are final.